Our staff includes the principal investigator and coordinator of the Citclops FP7 project about a citizens’ observatory for coast and ocean monitoring, software engineers and researchers, and experts in the area of scientific communication. 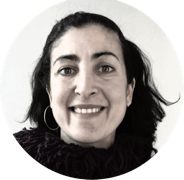 With previous experience in marketing and communication, Eleonora Albini cooperates within the project by activating various media channels – both online and offline – with the aim of promoting EyeOnWater in specific fields (yachting, environment, education, and science). Eleonora has already cooperated with the “editorial advisory board” of the book Analyzing the Role of Citizen Science in Modern Research. Alexander Steblin holds a Degree in Engineering from the Pompeu Fabra University. He is a researcher in Eurecat – Technology Center of Catalonia, where is part of the Integrated Continuous Care research line. He has developed his experience in healthcare and citizen science sectors being involved in several national and European projects. Laia Subirats is a researcher at Eurecat. She holds a PhD in Computer Science from Autonomous University of Barcelona, a Degree in Engineering from Pompeu Fabra University (first class honors) and a M.Sc. in Engineering from the Technical University of Catalonia and Carlos III University of Madrid. She has been working in R&D projects for 8 years in disciplines such as machine learning, citizen science, social networks, web services, ontologies, reputation and smart cities; both in national and international centers. Filip Velickovski loves hacking code, particularly in python, and solving complex problems that involve data analysis and machine learning. More formally he is a software engineer and researcher who holds a Masters degree in Computer Vision and Robotics (2010) from three European universities (Heriot Watt University in Edinburgh, University of Girona in Spain, and University of Bourgogne in France) and a First Class Honors degree in Computer Science (2005) by University of New South Wales in Australia. Elena is a researcher and project manager at 1000001 Labs. She obtained a BSc degree in Industrial Engineering, an MSc degree in Technology, Innovation and Education; and completed her PhD in Environmental Modeling at CSIC-UPC. Her main research interests combine: environmental modeling; application of artificial intelligence to environmental sciences; big data; citizen science; and education.